A new recording about Harriet Tubman now available on Audible! Lee Ann is happy to announce her latest recording on Audible via Listen 2 a Book. 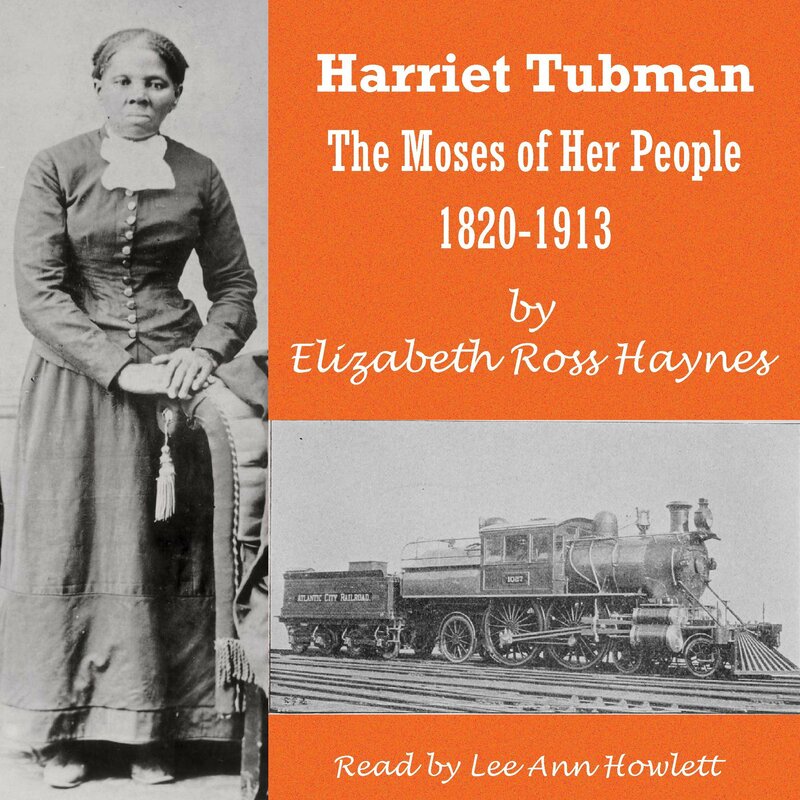 Harriet Tubman: The Moses of Her People 1820-1913 by Elizabeth Ross Haynes is a short biography of an American icon. Harriet Tubman was born into slavery around 1820. This biography by Elizabeth Ross Haynes was published just eight years after Harriet’s death (1913) as a part of her book Unsung Heroes. Over the years Ms. Tubman’s legacy as a former slave, an abolitionist, a humanitarian, a suffragette, and a spy and agent for the US Army has grown. Beginning in 2020 her face will grace the US 20 dollar bill. There is also a collection of Harriet Tubman artifacts housed in the Smithsonian’s National Museum of African American History and Culture. To listen to a sample and/or purchase, please check Audible here. Posted by lahowlett on August 26, 2016 in Uncategorized and tagged American history, audiobooks, biography, Harriet Tubman, slavery, Underground Railroad.